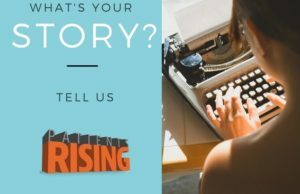 Patients Rising — a growing patient advocacy organization founded in 2015 to stand up for patients and advocate for their rights — seeks self-starter with superior organizing, program administration and office skills. Must be able to work independently and enjoy a learning environment. Patients Rising was formed to stand up for patients. To advocate for their rights. To fight for their access to the medications they need and deserve. And to tell the truth about health care. This is why we fight for access to vital therapies and services for patients with life-threatening and chronic diseases. It is therefore essential to create a balanced dialogue in the national conversation around these issues. Responsibilities: Duties in support of the Executive Director and Policy Director include the following. Expanded roles are an opportunity for the right candidate. Experience: 3-5 years of progressively responsible experience in administrative, program management and/or executive assistance role. Skill Sets: Office Suite, cloud-based systems; Eventbrite; Mailchimp; databases and social media platforms; proficient typing and high-quality writing and communication. Professional office skills. Salary Range: Salary commensurate with experience.